Do you know these people, have you seen this truck??? Receive money for an arrest about this case 554-1111. | Crime Stoppers of the Lowcountry: 554-1111 | 1-888-CRIME-SC | Anonymous tips earn cash rewards with Crime Stoppers of the Lowcountry. 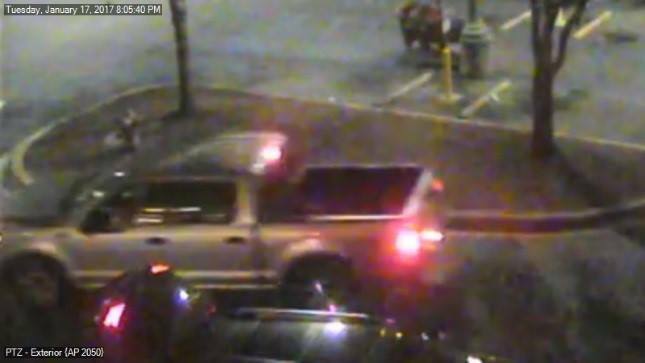 Home | News | Do you know these people, have you seen this truck??? Receive money for an arrest about this case 554-1111. Do you know these people, have you seen this truck??? Receive money for an arrest about this case 554-1111. The Mount Pleasant Police Department is seeking the public's help in identifying the two subjects shown below. The pair are suspected of using stolen credit car...ds at various locations around Mount Pleasant. They were last seen driving a gold or tan pickup truck. 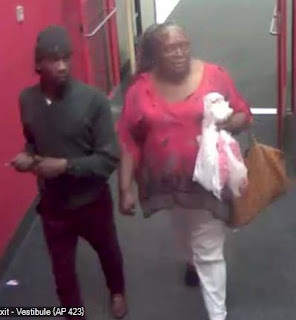 Anyone who knows the identities of these two suspects is asked to contact Detective Jackson at 843-856-3031 or CJackson@tompsc.com. Callers who wish to remain anonymous can call Crime Stoppers at 843-554-1111, submit a tip through our smartphone application, or submit a tip at http://mppdnews.blogspot.com/p/submit-tip.html. Crime Stoppers offers rewards of up to $1,000 to anyone who provides information which leads to an arrest.